Fast food giant McDonald’s and Canadian marketing company Cossette have teamed up to create the “Follow the Arches” campaign in Canada. 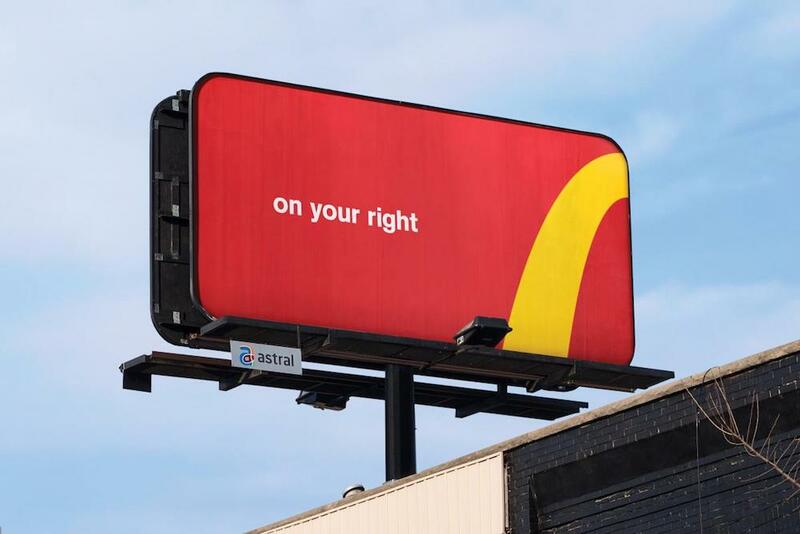 The campaign features billboards with only portions of McDonald’s iconic golden arches logo that serve to point drivers in the direction of the nearest restaurant. According to Adweek, the campaign currently only features four billboards in the Toronto area, but it could extend beyond that in the future.